Welcome to our My150 profile page! 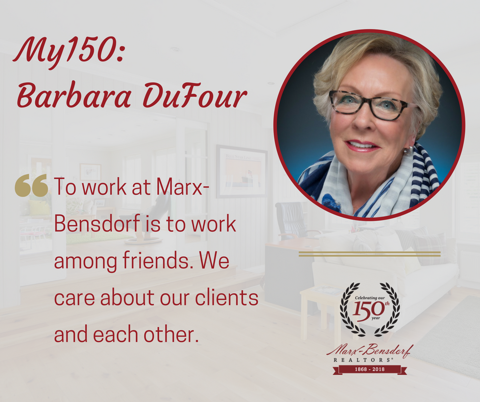 As part of our yearlong celebration recognizing 150 years of business, our team is letting you know why they choose Marx-Bensdorf, REALTORS. These spotlights, which will be posted throughout the year, reveal our team's drive, dedication, passion, and loyalty to the brand. 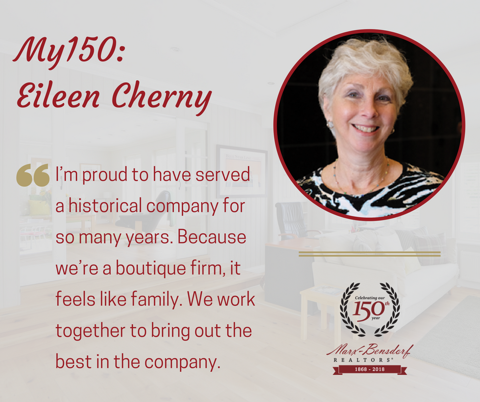 We have been successful for 150 years because of our people. We're proud of our people. Now, you get the chance to meet our people. 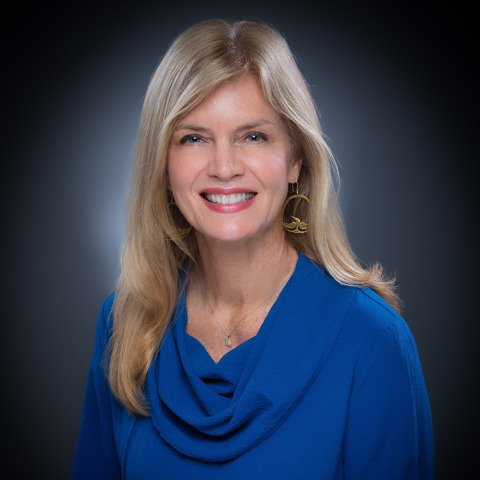 The most rewarding part of being in real estate is building and nurturing relationships with clients, fellow agents, lenders, attorneys and other professionals involved in the buying or selling process. I especially like bringing many parties together, working toward the common goal of a successful transaction. Since this is likely the most important purchase my clients will make, it is my role to help them make a sound decision that will bring their family happiness and stability for years to come. Working at Marx-Bensdorf makes me want to be the very best REALTOR® I can be. I am surrounded by successful agents with the highest standards and ethics. They are my mentors and friends. Together, we work to serve clients, to be ambassadors for our great city, and to support the very community that has enabled us to thrive here for more than 150 years! 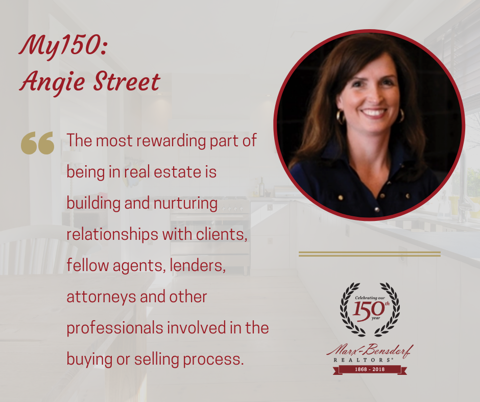 For more information on Angie, visit angiestreetrealtor.com. I am so fortunate to work with the best people in the business. I have been at Marx-Bensdorf for three years now and it has been an incredible experience. It is an absolute joy to meet new clients and help them find their dream home. Being a part of a process that has such a lasting impact on a family is a very special honor. My expertise in technology and teaching from previous careers have been very beneficial in real estate. 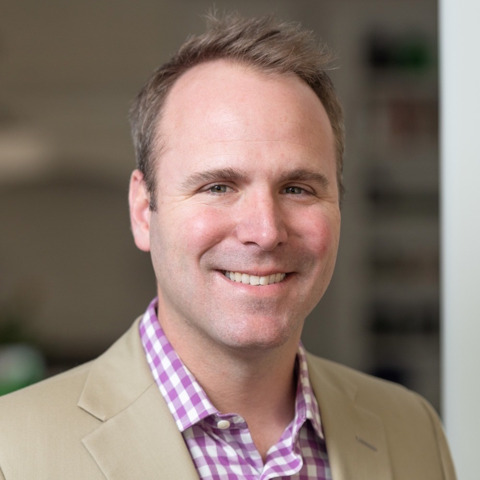 I enjoy helping clients make informed decisions about where they want to live and leveraging technology to streamline the process. I’m so proud to work at a firm with such a rich history in our city and I look forward to more successes in the years to come. 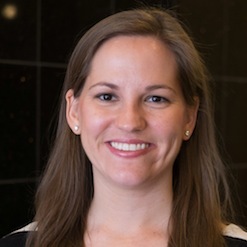 For more information on Elizabeth, visit elizabethkuhlo.com. 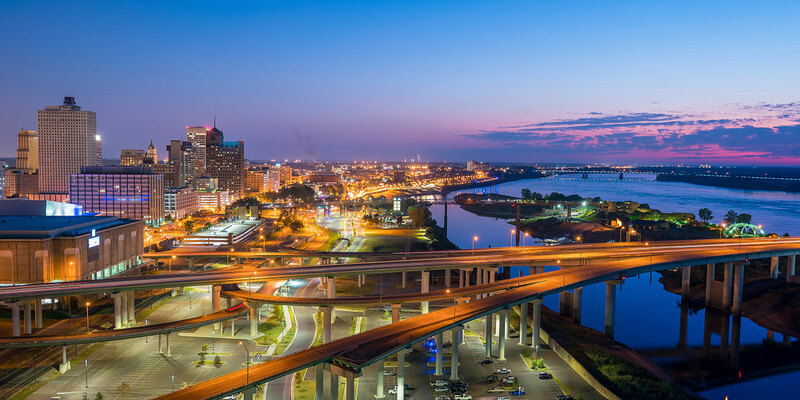 The Memphis area has so much to offer – and I’m honored to be a part of helping people buy and sell homes in our great city. Buying or selling a home can be either a stressful process or a professionally orchestrated series of steps leading to a smooth transition for all involved. I’m so pleased to work at a firm that has such a spirit of collaboration. We all want the best possible outcome for each other and our clients. 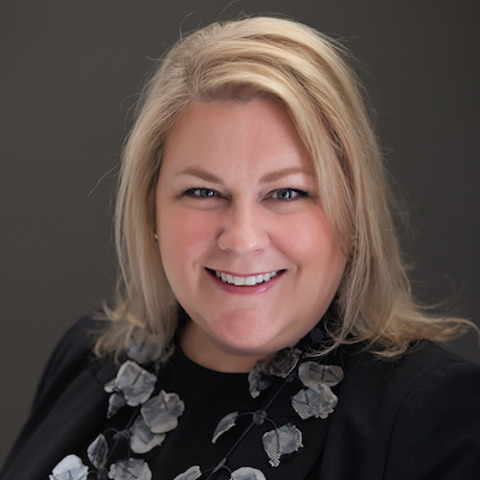 I’ve always been intrigued by the opportunities a real estate agent has to make a meaningful difference in the lives of those who need professional guidance and representation. 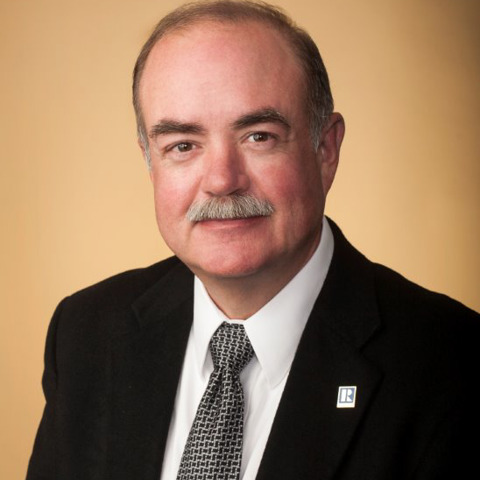 Before joining Marx-Bensdorf this year, I served as CEO of the Memphis Area Association of REALTORS®. Now, it is a unique privilege to work alongside agents I’ve come to know and respect in this wonderful and growing community. 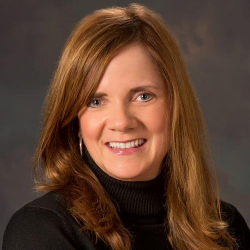 For more information on Melanie, visit melblakeneyrealtor.com. Trust is such an important matter when helping people buy or sell a home. Year after year, I’m honored to be part of a process that affects people’s lives for years to come. I started in 1980 and, for the past 38 years, have enjoyed selling properties of all price points all across Shelby County. I take great pride in being a partner and principal broker of our wonderful firm. 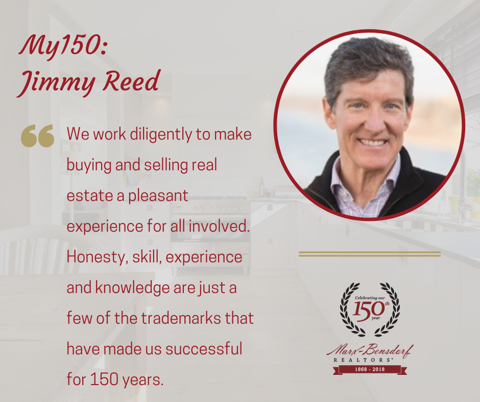 I’m so fortunate to work alongside our 45 agents, each of whom exemplify the philosophy of “service over self.” We work diligently to make buying and selling real estate a pleasant experience for all involved. Honesty, skill, experience and knowledge are just a few of the trademarks that have made us successful for 150 years. I feel blessed to be a part of it all. Here’s to the next 150! For more information on Jimmy, visit jimmyreedrealtor.com. My first day at Marx-Bensdorf was on April 1, 1968. 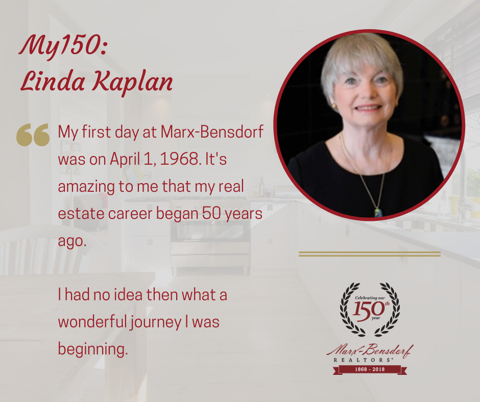 It's amazing to me that my real estate career began 50 years ago and that the lady who was interviewing me told me that Marx-Bensdorf was celebrating its 100th year. I was so impressed! Now, Marx-Bensdorf is celebrating its 150th anniversary. I had no idea then what a wonderful journey I was beginning. Initially, I worked as an assistant to the agents, then added relocation to my responsibilities. Some time later, I became a broker/owner for a franchise real estate company before returning home to Marx-Bensdorf in 1993. Real estate has been such a rewarding profession. I have enjoyed helping people with the complexities of buying and selling, be it their first home or their last. Sharing my knowledge to help my clients is always a joy and an honor. 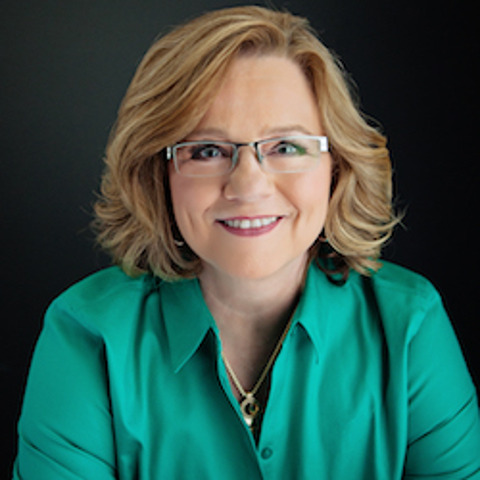 For more information on Linda, visit lindakaplanrealtor.com/. 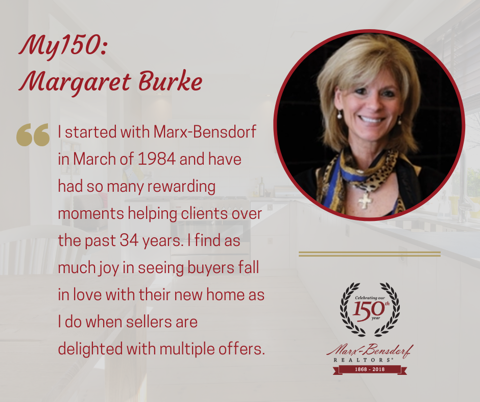 I started with Marx-Bensdorf in March of 1984 and have had so many rewarding moments helping clients over the past 34 years. I find as much joy in seeing buyers fall in love with their new home as I do when sellers are delighted with multiple offers. Real estate has been my one and only career and I have never considering leaving this fine profession or this special firm. 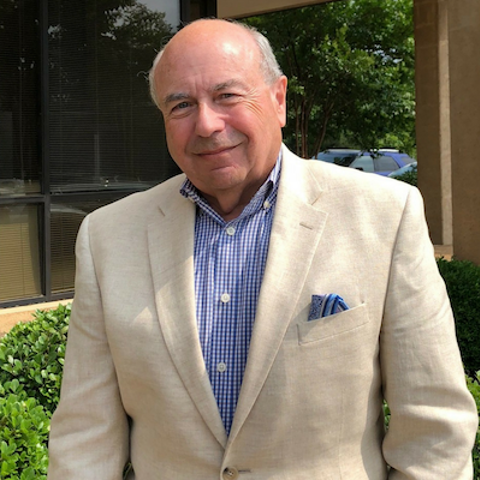 Early on, I was very fortunate to have the firm’s former brokers, David Okeon and Mike Earp, place their trust in me to be a representative of the oldest real estate firm in the Memphis area. 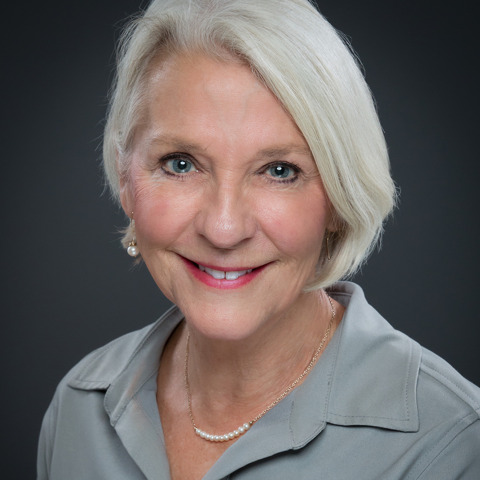 At Marx-Bensdorf, we are a close-knit group of REALTORS® who support and respect one another, our clients and the profession. Real estate is such a rewarding career. Seeing the excitement on a client’s face on closing day is the best feeling. Home ownership is the American dream. I’m honored that my clients allow me to help make that dream come true. 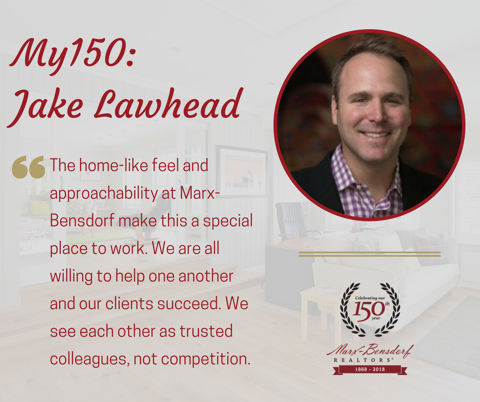 I’ve been in real estate more than five years – and I love working at Marx-Bensdorf. Not many people can say they work for a company that has been around for 150 years, but I can! The people and the culture here make it special. Since we are a small firm, it feels like a family. One of my most rewarding experiences was helping my sister and brother-in-law find their first home. It’s the home in which they’ve raised my two nieces, celebrated birthdays and held holidays. They have enjoyed living there every day. Watching them turn their house into a home always reminds me why I love being a REALTOR®. For more information on Tracy, visit tracylombardorealtor.com. I love helping others and sharing my love of our great city. 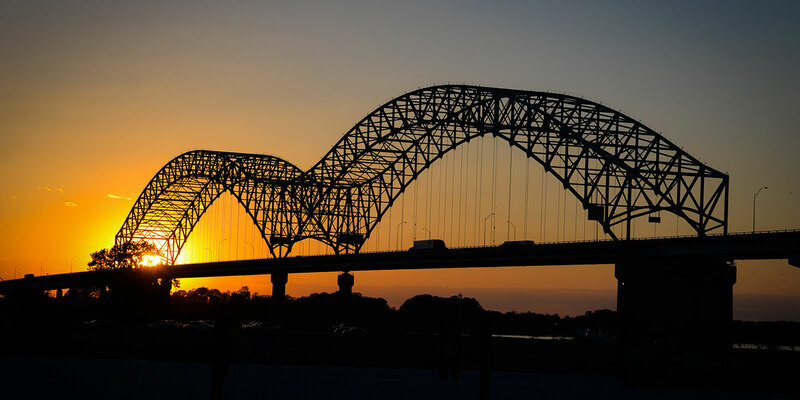 My background as a volunteer and president of Junior League of Memphis deepened my admiration for Memphis and those who live here. In my real estate career, I help people navigate arguably the biggest financial decisions of their lives – what an honor! I started with Marx-Bensdorf during the recession in 2011 and was drawn by the culture of teamwork, mutual respect, integrity and service to others. I knew that if I learned the business during tough years, I would gain valuable experience for when the market bounced back. One of my first listings was an elegant home that had been listed with another firm for over a year. Rather than listing at a lower price, I worked with the sellers to make key improvements that made the home more attractive to buyers. The house sold quickly for close to list price! 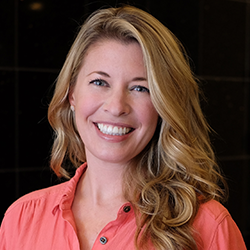 For more information on Courtney, visit courtneymurrahrealtor.com. I really love helping our clients find "their" home. It is both exciting and rewarding when hard work pays off and everything falls into place. I’ve loved working with my sister, Lauren, these last few years. We work hard and have a lot of fun too. It may sound cliché, but I truly believe that our being related to one another carries over to our clients – and we treat them like family as well. Lauren and I both joined Marx-Bensdorf in January of 2015. This is such a special place to work for so many reasons. We are a tight-knit group of professionals who share knowledge and experience, working together to the benefit of our clients. The support and encouragement we receive from our brokers, David and Jimmy, is so very appreciated. I feel very fortunate to work alongside such a great group of real estate agents and support staff. For more information on Stephanie, visit www.stephaniesheahan.com. 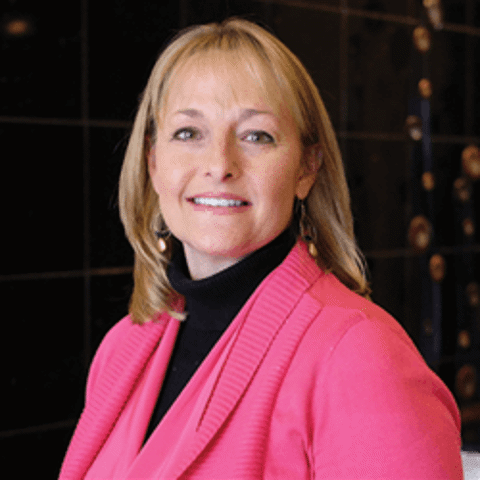 Real estate is so different from my other careers in that it is such a personal experience. People let you into their homes and lives. I strive to treat them like family, which comes easily since I work alongside my sister and partner in business, Stephanie. Some of our most rewarding moments have been when past clients refer us to their parents. I feel like I’m helping my own parents and I know how important and challenging this process can be for them. To know that they have entrusted me with their family is the highest compliment they could give. 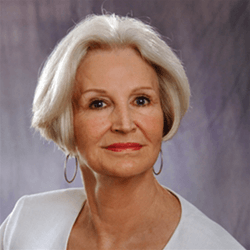 At Marx-Bensdorf, I truly feel like I am working with the “cream of the crop.” Plus, I have the honor of serving as the current board president of the Memphis Area Association of REALTORS® (MAAR). I am grateful to be working with and surrounded by the best in the business. For more information on Lauren, visit laurenharkinswiuff.com. I love being a REALTOR® because of the people I’ve met and gotten to know on a personal level. Marx-Bensdorf was the only real estate company I contacted, due to the firm’s stellar reputation. The company is well-managed and is always ahead of the trends. I started here in 2012, teamed up with Sheldon Rosengarten. We knew each other from my time in fundraising at the University of Memphis. I enjoy bringing a wealth of information about schools, neighborhoods, crime and traffic to my clients so that they can make informed decisions about their biggest investment (their home) in support of their biggest asset (their family). I am honored to be a MAAR Multi Million Dollar Club member and to have my e-Pro certification, fully leveraging technology to the benefit of my clients. For more information on Kelly, visit kellyerbrealtor.com/. I started with Marx-Bensdorf way back in the 80’s when I was a young wife and mother. I worked for a couple of years as assistant to the broker, David Okeon, whom I greatly respected. 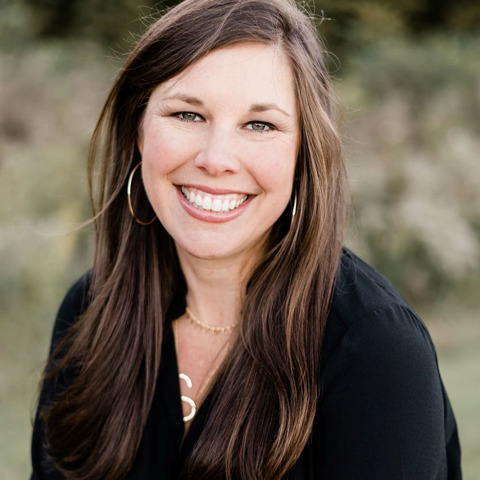 When my husband and I were expecting our second child, I chose to be a stay-at-home mom. Fifteen years later, when the kids were older, I got my real estate license and returned to Marx-Bensdorf as a REALTOR® in 1998. I am proud to be associated with a firm known for its integrity and business sense. 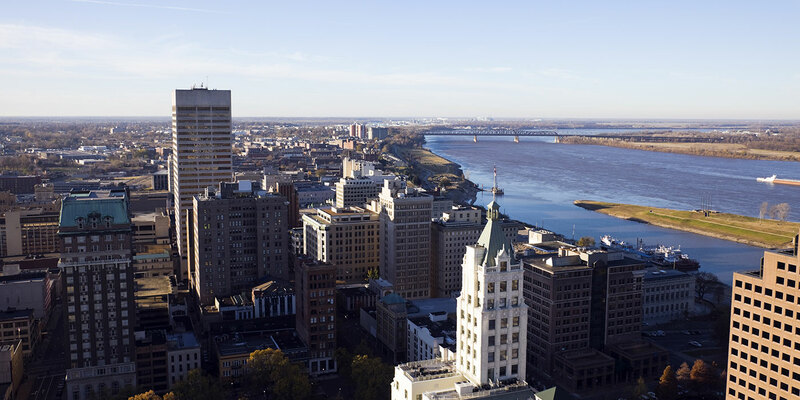 Being the oldest firm in the city, Marx-Bensdorf has grown with Memphis and beyond the city limits with our expertise. We are an independent firm – not a national chain – and there is a deep feeling of family here. The support from brokers, agents and staff is phenomenal. All I can say is, bring on the next 150 years! For more information on Melonie, visit memphisrelocate.com/melonie-sain-simpson. 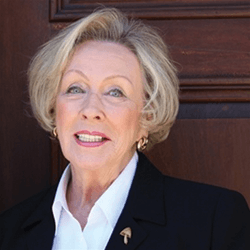 It is an honor to work for the premier real estate firm in Memphis. 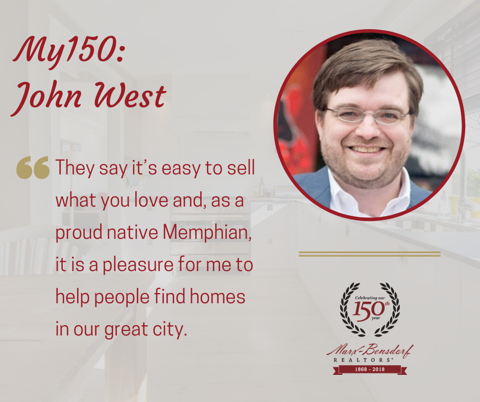 They say it’s easy to sell what you love and, as a proud native Memphian, it is a pleasure for me to help people find homes in our great city. I started working at Marx-Bensdorf in February of this year. 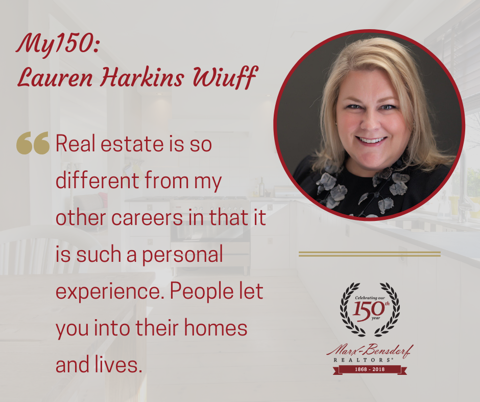 Real estate is different than any other career I have had because I am now helping to guide my clients through one of life’s most important decisions. Some of my most rewarding moments are when I am able to help first-time buyers find a new home. 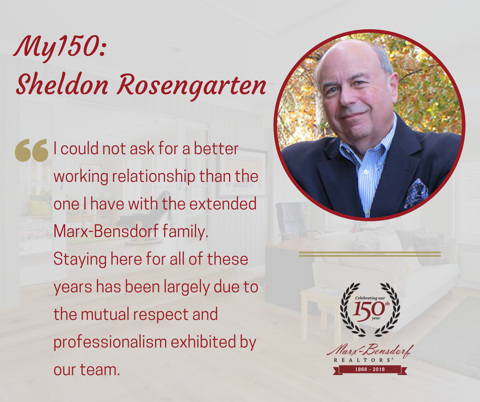 Marx-Bensdorf is such a special place to work because of the company’s longevity, my long-standing relationships with our brokers and agents, and the family atmosphere in our office. 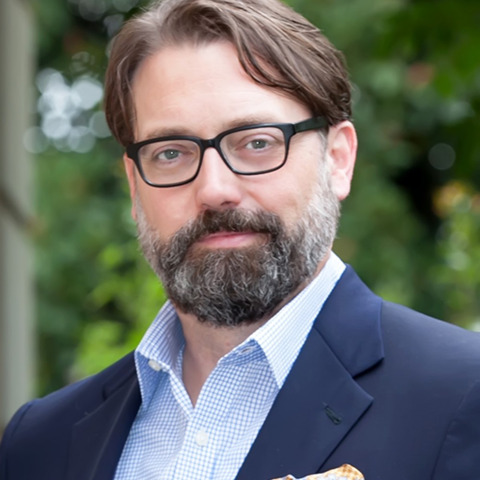 For more information on John, visit cathleenblackrealtor.com. I love the look on a client’s face when you can tell they have found THE house! 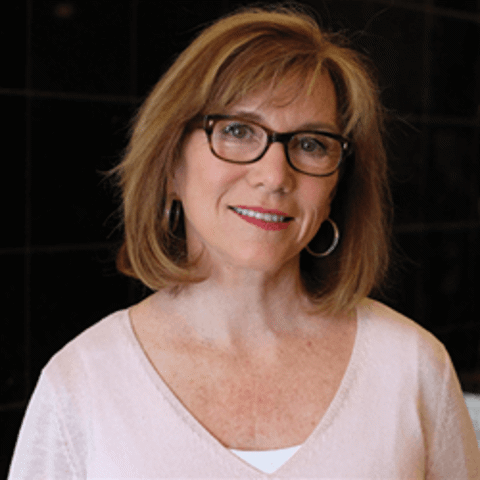 I have always had an interest in homes and I enjoy helping clients find the perfect home for their family. When clients tell me that I helped make the process easier or less stressful for them, then I feel like I have done my job well. I love working in real estate because it has given me the opportunity to be flexible with my schedule and to work from anywhere. 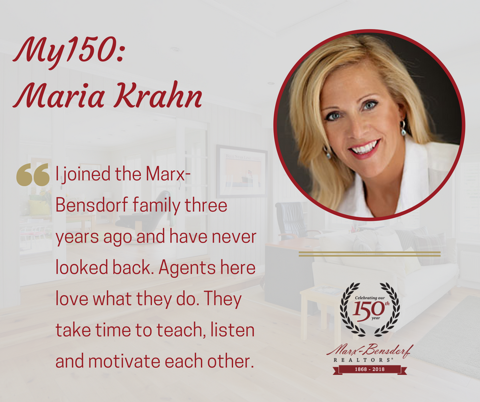 Marx-Bensdorf is a great place to work because of all of the support I receive from fellow agents and our wonderful support staff. 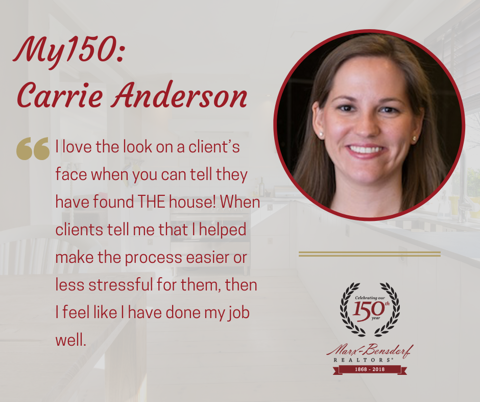 For more information on Carrie, visit www.carrieandersonrealtor.com. 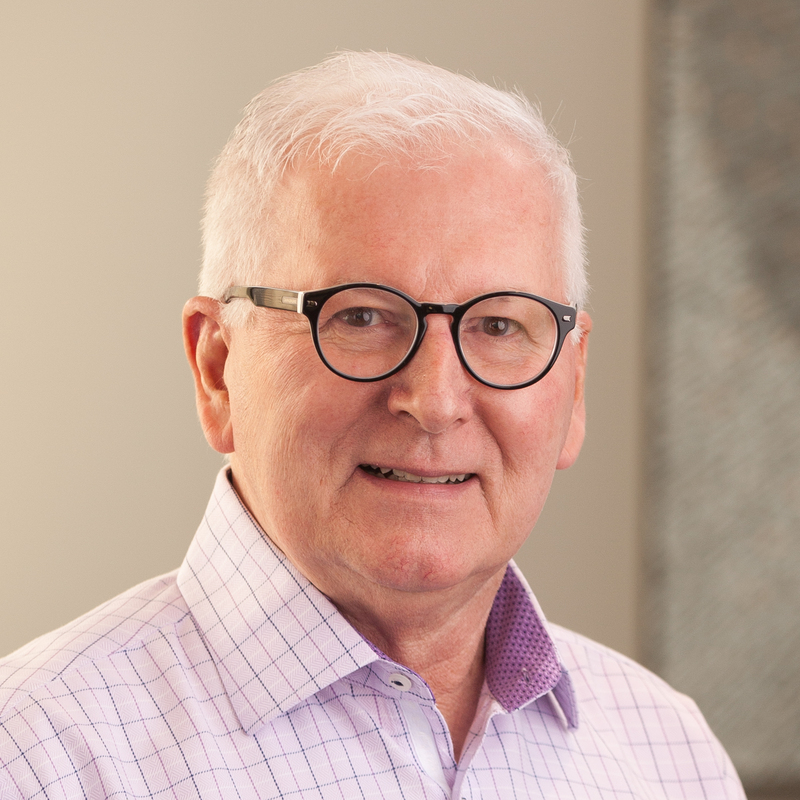 Marx-Bensdorf has always been focused on quality of service more than quantity of transactions, which aligns perfectly with my philosophy as well. My parents always told me to surround myself with the kind of people I want to become – and the people at Marx-Bensdorf are no exception. We are a professional family who hold each other in the highest regard. We constantly share information and work collectively to better serve clients. The firm has a long-term reputation of integrity in the marketplace that is mirrored by our individual agents. Since childhood, I’ve been interested in home design and construction. It’s no surprise I was an architect and building designer for 25 years before making the natural progression into residential real estate. Some rewarding moments in my career include long-term client relationships that develop into friendships. It is an honor to guide clients and friends toward achieving their real estate goals. For more information on David, visit davidtesterrealtor.com/. The last eleven years at Marx-Bensdorf have been the pinnacle of my working career. After 30 successful years in the food business, I decided to join the world of real estate. The knowledge gained from my fellow agents is priceless and has enabled me to be a top-producing agent year after year. New construction for mature, savvy clients is just one area of my expertise. 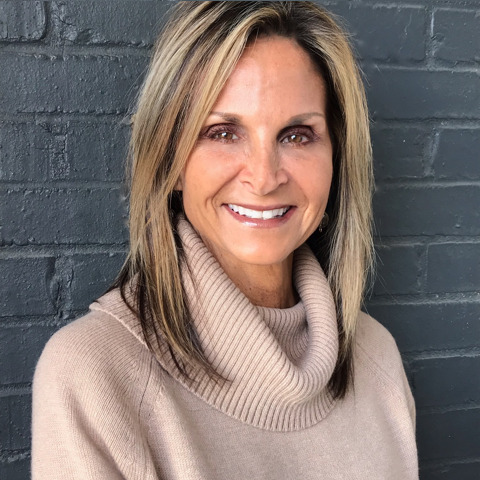 I also represent developers and builders who focus on high-end, one-story homes for the mature client base in Collierville and Fayette County. I have had the distinct honor to be able to sell out multiple subdivisions designed for this age group. 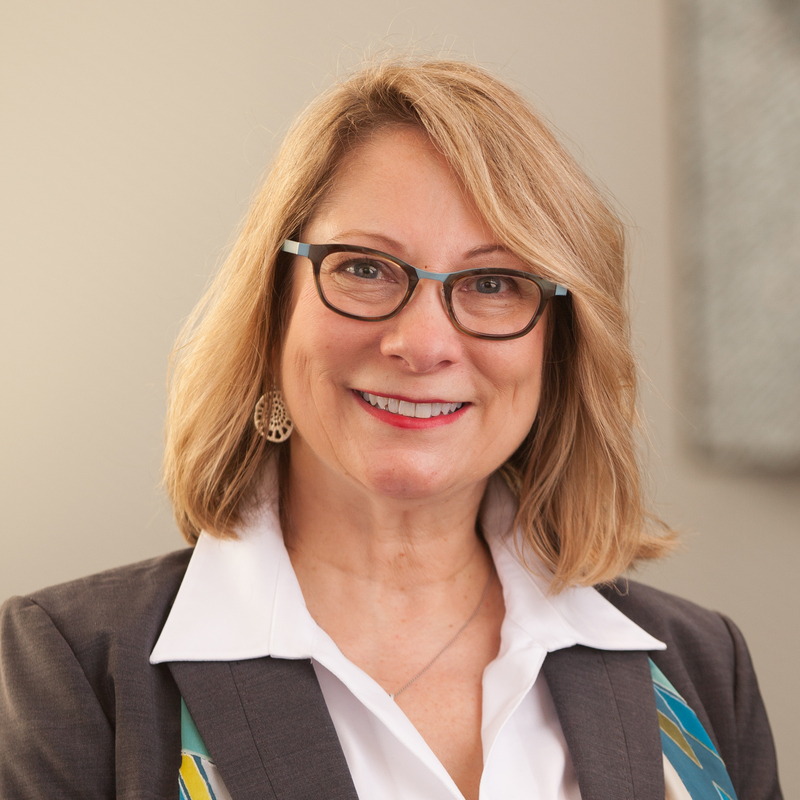 My most memorable moments in real estate include any time I get to assist buyers and sellers looking to downsize or “right size” their home to make their lifestyle more comfortable, manageable and enjoyable. 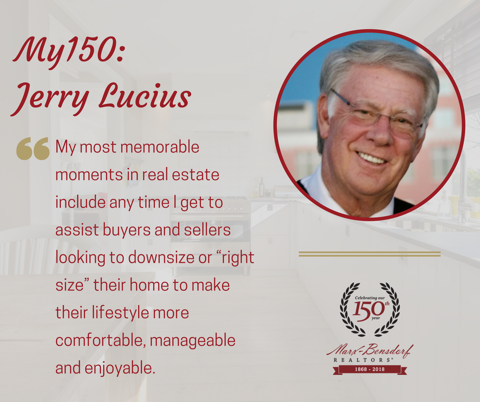 For more information on Jerry, visit jerryluciusrealtor.com/. I joined the Marx-Bensdorf family three years ago and have never looked back. Agents here love what they do. They take time to teach, listen and motivate each other. The brokers lead by example with a passion for helping clients, and that attitude shines throughout the office. Our brokers are present, professional and have an emphasis on giving back to the community. Working in real estate is truly a non-stop, 24/7 career. There’s always a new listing, a new buyer, negotiations, education, marketing and more. I particularly enjoy getting to list a property after it has not sold with another firm. It is challenging to work with sellers who are frustrated, but it is also very rewarding when we work together to make positive changes to our approach and end up with a satisfying outcome. Working together, we see how true it is that the difference is in the details! 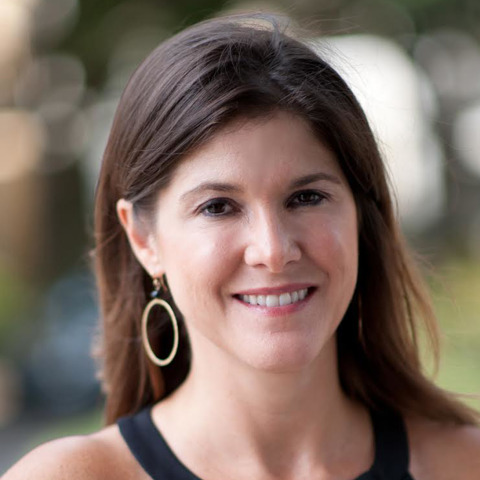 For more information on Maria, visit http://mkrahnrealtor.com/. I started at Marx-Bensdorf nearly 25 years ago. I’m proud to have served a historical company for so many years. Because we’re a boutique firm, it feels like family. We work together to bring out the best in the company. 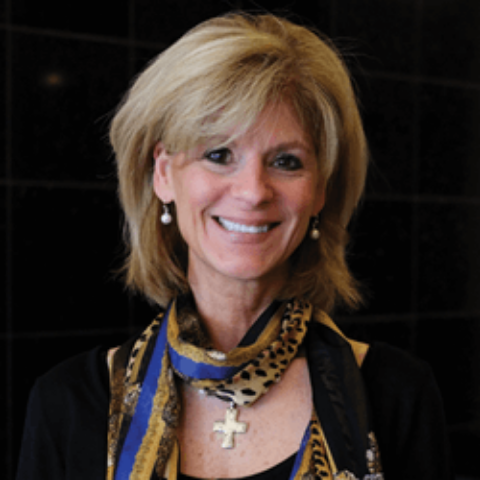 I began as a REALTOR® and shortly moved into the position of Relocation Director. My most rewarding moments are when the firm is recognized at the annual Leading Real Estate Companies of the World award ceremonies. We received our RELO Quality Certification in 2006, as one of only 27 members in the world. I was honored to serve the LeadingRE Advisory Council, receive the President’s Service Award and the Chairman’s Award. The icing on the cake was receiving the Hall of Fame award this spring. Marx-Bensdorf is a leader in real estate and relocation. I am grateful to our agents and leadership for letting me come along for the ride! For more information on Eileen, visit www.marx-bensdorf.com/relocation. This is my 40th year in real estate. 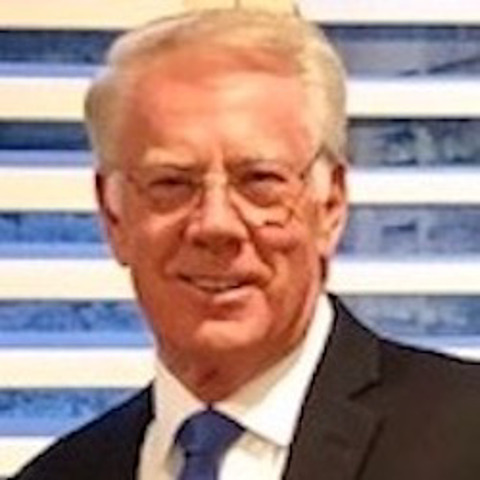 I’ve had my license since 1978 and joined Marx-Bensdorf in 1984. The most rewarding times in my career have been when I’ve seen customers’ eyes light up because we’ve found the perfect home. So many customers have become good friends. Being successful in this business takes hard work, flexibility, patience, and persistence. Over decades, I’ve learned how to persevere through down markets and enjoy good markets. I’ve seen interest rates as high as 18% and under 3%. I enjoy the flexibility of being a REALTOR® because I can work from anywhere and don’t need to be at a desk from 9 to 5. The agents here are like family. Everyone encourages and respects one another. The brokers, Jimmy and David, have an open-door policy and are always available to answer questions or provide guidance. I feel blessed to work with such professionals. 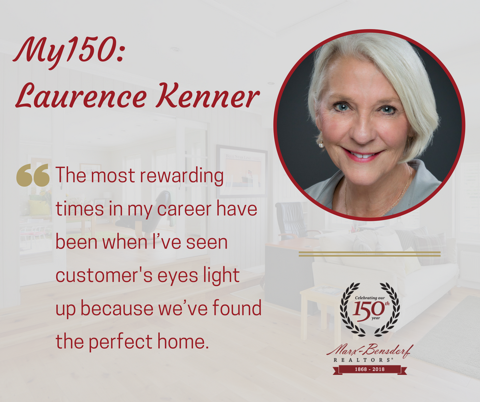 For more information on Laurence, visit www.laurencekennerrealtor.com. I have been in real estate for fifteen years. It is the only career I have ever had, and I can’t imagine doing anything else! The biggest highlight of my career is any time I get to help first-time buyers find their new home. I am always honored to play a role in such an important decision in a customer’s life. It is very rewarding when that buyer calls me, several years down the road, to list that home and help them with their next purchase. Repeat customers and client referrals are the most meaningful compliments I could ever receive. I am proud to be a member of Memphis Area Association of REALTORS®’s Multi Million Dollar Club, and to work for a firm that has so many agents with that distinction. Marx-Bensdorf is truly a special place filled with talented professionals who are equally committed to excellence and customer service. 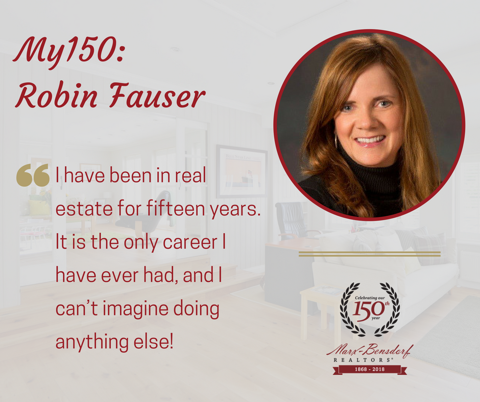 For more information on Robin, visit www.robinfauserrealtor.com. 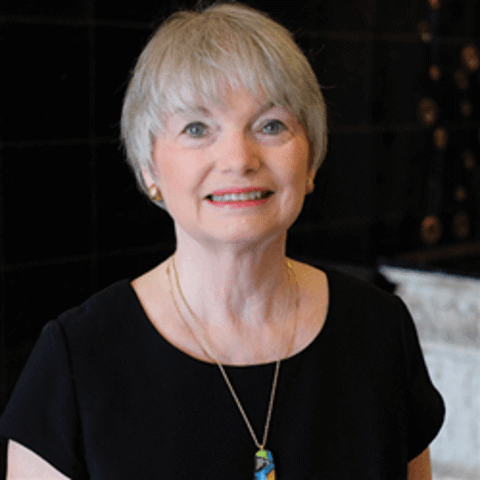 I have the unique and wonderful experience of being on a real estate team with my mother and mentor, Barbara DuFour. I am continually grateful for our clients, their loyalty, referrals and trust. Every client is important to us. I have a special affinity for working with first-time buyers as I like helping them navigate through the process of making one of the most important financial commitments in their life. 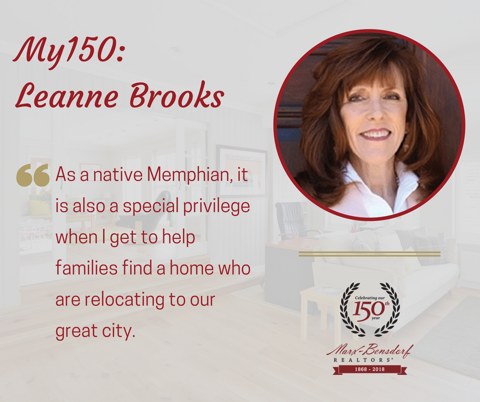 As a native Memphian, it is also a special privilege when I get to help families find a home who are relocating to our great city. I am honored to be a Lifetime Member of the MAAR Multi Million Dollar Club and that my career and firm both encourage community involvement. Being a REALTOR® also affords me the flexibility to be present with my family, which I value greatly. 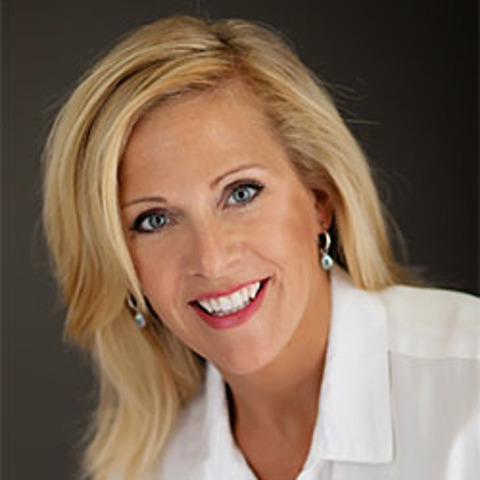 For more information on Leanne, visit www.barbaradufourrealtor.com/barbara-dufour--leanne-brooks. 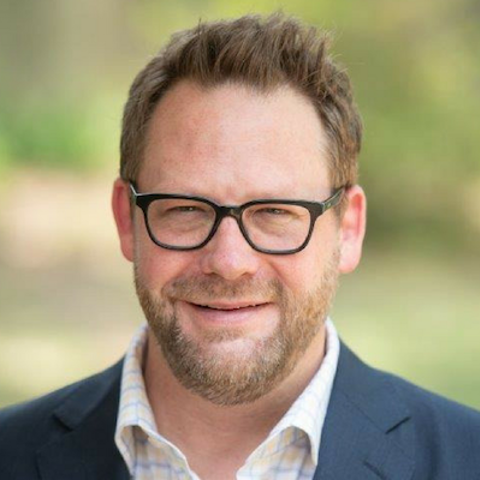 Marx-Bensdorf honors Memphis by encouraging agents to get involved in our local community. 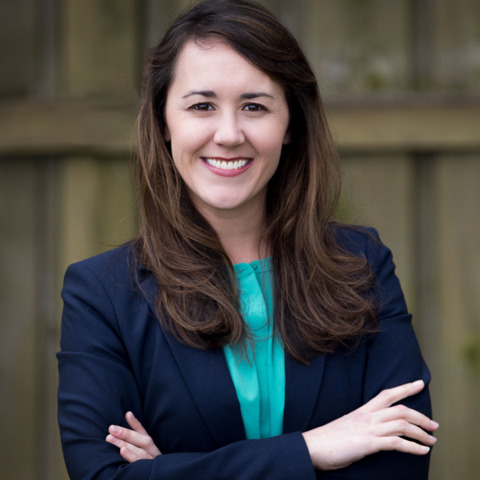 I am proud to serve on the Board of Directors of Literacy Mid-South – a cause that is important to me and to the firm. In addition to being a great community supporter, Marx-Bensdorf is also an excellent place to work. Jimmy and David have fostered a professional and fun work environment in which education, honesty and integrity are key. As a REALTOR®, I have the opportunity to use a variety of skills every day. 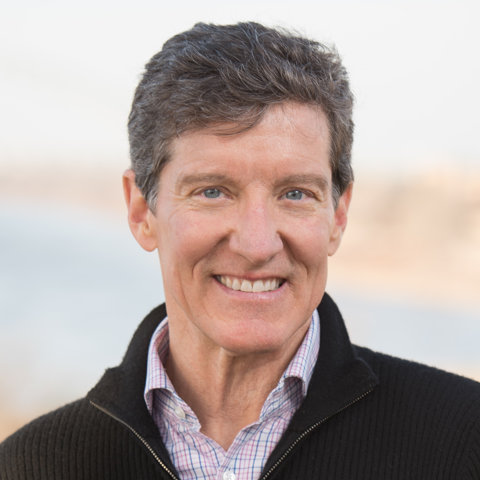 Whether I'm analyzing, marketing, communicating, negotiating, or problem solving, the work is engaging and keeps me continually learning. Being a REALTOR® also gives me the chance to be an ambassador for our great city. I get to meet so many fascinating people and, many times, agent/client relationships evolve into genuine friendships. 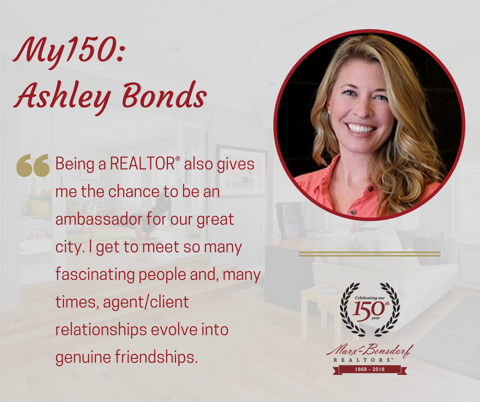 For more information on Ashley, visit www.ashleybondsrealtor.com/. To work at Marx-Bensdorf is to work among friends. We care about our clients and each other. 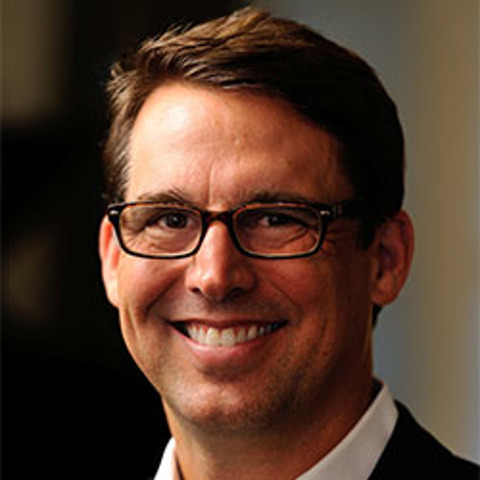 I joined the firm in 1996 after working at a few other real estate companies. Throughout my career, customer service has been of the utmost importance. A critical component of that is staying abreast of the factors that affect home buying and selling decisions. That information may include home values, mortgage information, changes in governmental policies, community statistics and more. I am privileged that my daughter, Leanne, is my real estate partner. Together, we work to ensure our clients value our service as much as they value their home. The loyalty of our repeat clients is rewarding. 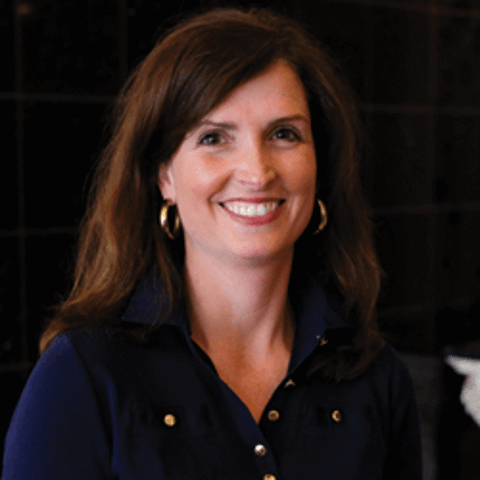 Recently, a client returned to Memphis to be closer to Le Bonheur Children’s Hospital. When we’re able to help a family find a house that makes them feel at home again, it makes my heart smile. For more information on Barbara, visit www.barbaradufourrealtor.com/. Everyone at Marx-Bensdorf is family. I could not ask for a better working relationship than the one I have with the extended Marx-Bensdorf family. 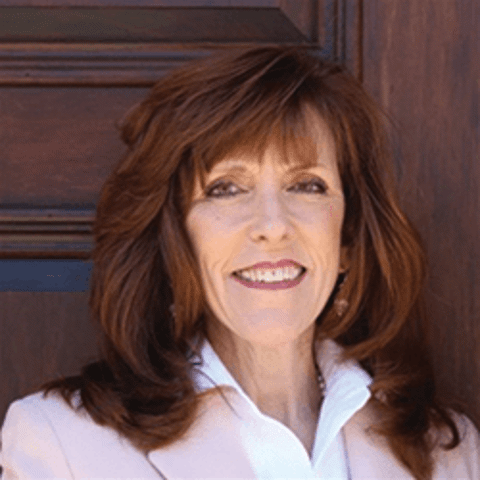 I started with the firm 25 years ago when I chose to close my own real estate company and focus on client service rather than managing up to 40 agents. I knew the agents and leadership at Marx-Bensdorf – and the firm’s stellar reputation in the community. Staying here for all of these years has been largely due to the mutual respect and professionalism exhibited by our team. Some rewarding moments in my career include helping clients achieve their goals; mentoring agents; being able to serve the City of Germantown by helping rewrite the City’s Charter; and being able to help University of Memphis law school students via an annual scholarship my wife and I provide in memory of my father who practiced law for 57 years. 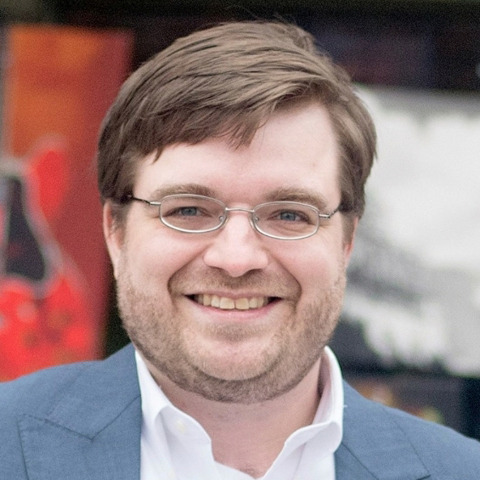 For more information on Sheldon, visit www.memphisrelocate.com. I am always proud to tell people where I work. 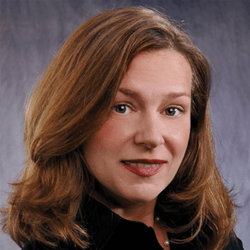 I started with Marx-Bensdorf three years ago and have been affiliated with the firm my whole life. My father, who was previously principal broker, started working here in 1967 when I was just two years old. 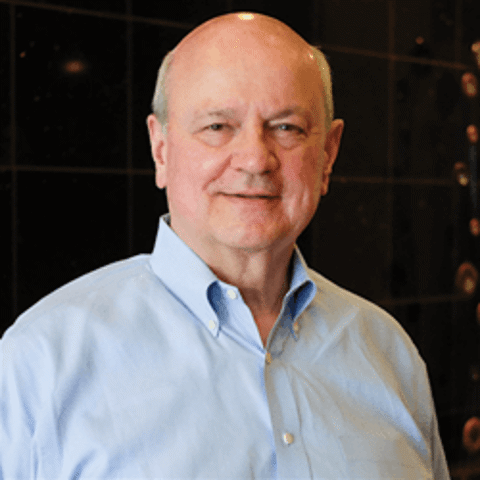 This is a special place because everyone has and maintains the highest level of ethics and integrity – plus, it is a fun and positive business environment. I really enjoy real estate because I get to work in concert with other agents to the benefit of our clients. Prior to becoming a REALTOR®, I was a litigation attorney which is a much more adversarial atmosphere. 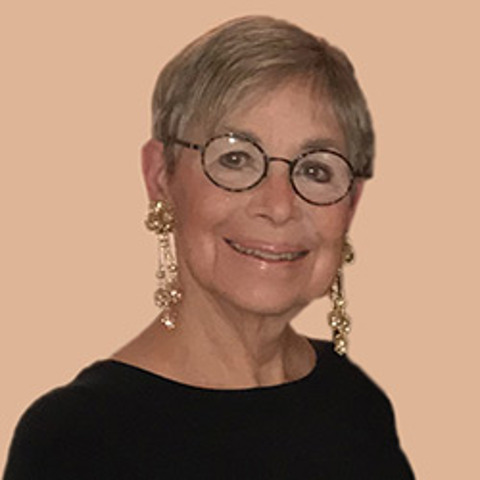 One of the highlights of my career was when I was able to help a friend, who had been widowed, sell her home of 30 years and find the perfect condo where she has friends and is very happy. 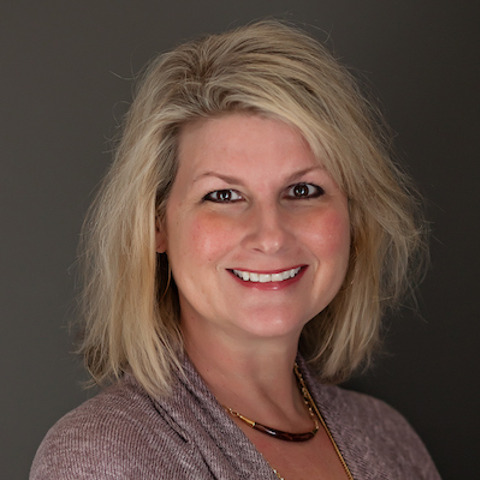 For more information on Mindy, visit www.mindyokeonrealtor.com. 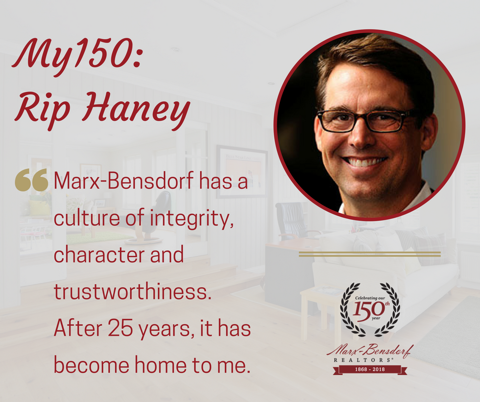 Marx-Bensdorf has a culture of integrity, character and trustworthiness. After 25 years, it has become home to me. One thing that has changed a lot since I started in 1993 is technology. However, even in the midst of the latest innovations, it is important to have a foundation based on personal service and strong relationships because that’s what clients value most. 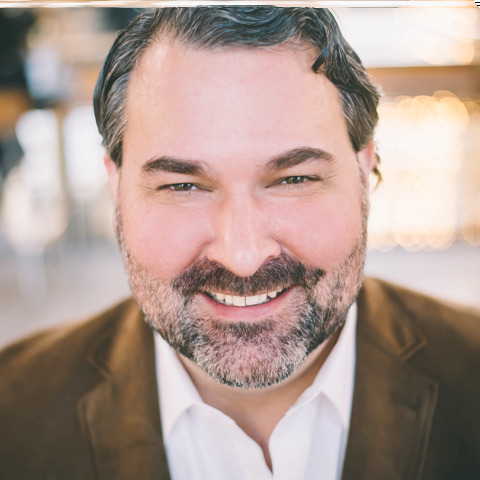 A couple of highlights from my career include being elected as the president of the Memphis Area Association of REALTORS® Multi-Million Dollar Club and surviving the real estate market crash. Working alongside my peers, I gained valuable guidance and expertise that has helped me to have longevity in this career I’ve come to appreciate so much. Most of my clients come from repeat business or personal referrals, both of which I consider to be the highest compliment. I look forward to helping more clients in the years to come. For more information on Rip, visit www.riphaneyrealtor.com. The home-like feel and approachability at Marx-Bensdorf make this a special place to work. We are all willing to help one another and our clients succeed. We see each other as trusted colleagues, not competition. A lifelong Memphian, I grew up and still live in Central Gardens. I know this city like the back of my hand – and I like helping clients find the area and home that suits their needs. I am honored to be a member of the MAAR Multi-Million Dollar Club. A rewarding experience in my career involved helping a relative sell his property. I followed the proven, step-by-step approach that has been successful for all of my valued clients – and sold his property in 3 days, with multiple offers, for above list price. He was happy, and I enjoyed exceeding his expectations. I look forward to many more fulfilling career highlights in the years to come. For more information on Jake, visit http://www.riphaneyrealtor.com/. 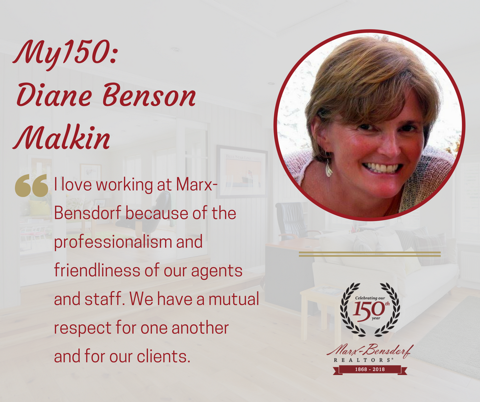 I love working at Marx-Bensdorf because of the professionalism and friendliness of our agents and staff. We have a mutual respect for one another and for our clients. It’s very rewarding to help people find homes that make them and their families happy. One of the greatest professional honors I’ve had in my career is being inducted into the Memphis Area Association of REALTORS® Multi-Million Dollar Club. I have also worked at First Tennessee, another longtime Tennessee-based company that recently celebrated its 150th anniversary. It is fun to have worked at two organizations that share this prestigious claim. 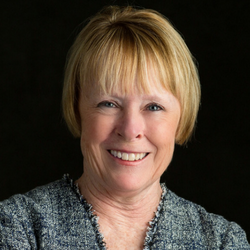 Being a REALTOR® affords me the flexibility to be an active volunteer in our community. 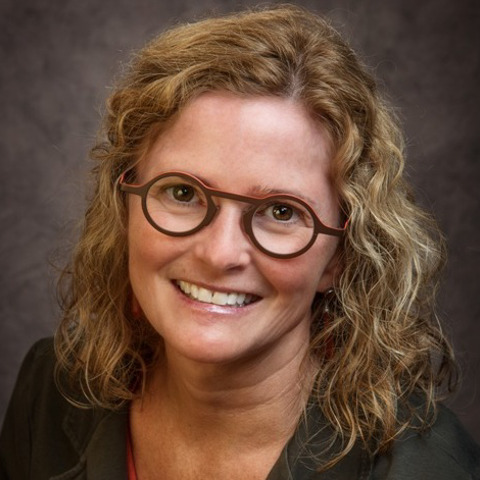 I serve as a mentor with the Memphis Institute for Leadership Education (MILE) at the University of Memphis. I look forward to continuing a tradition of success for my clients and my community. 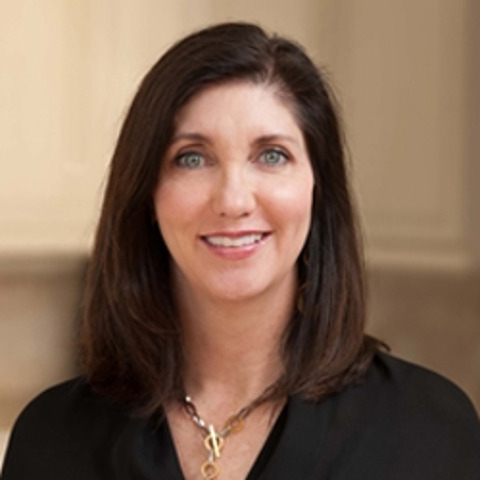 For more information on Diane, visit http://www.dianebensonmalkinrealtor.com/. I am proud to call Marx-Bensdorf my home. 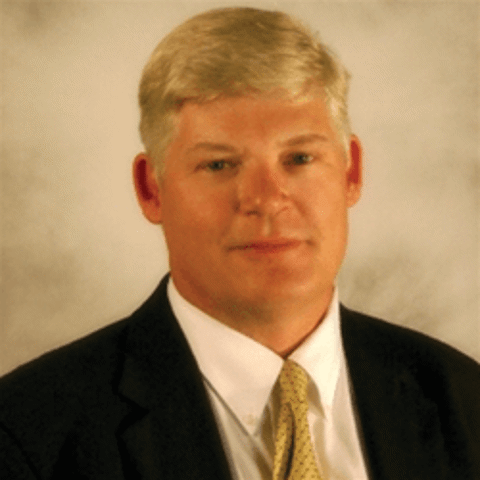 I worked at International Paper for 18 years before starting in real estate in 2010 during the recession. Many people asked me if I was crazy getting into real estate when others were getting out. On the contrary, it gave me time to absorb valuable guidance from my colleagues while the market recovered. I have a special affinity for seniors and love working with them. One particularly rewarding experience was when I was helping a senior client who had just lost her husband. 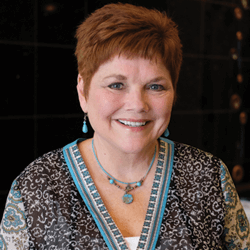 She was in financial distress and needed to sell her home, which was not in ideal condition. We worked together to improve its condition without spending additional dollars. Just before listing the home, an agent called whose client wanted to see it. The house was sold at listing price. It was so gratifying to tell my client the good news. 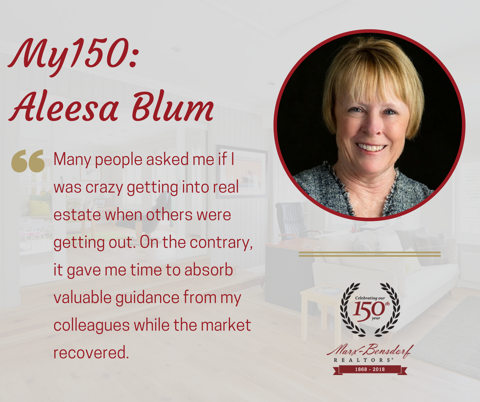 For more information on Aleesa, visit http://www.aleesablumrealtor.com/.